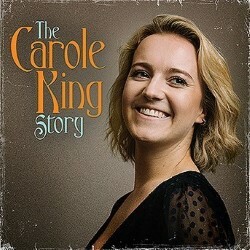 Following sell-out shows and standing ovations in 2017/18, The Carole King Story returns to take you on an incredible journey through the career of six-time Grammy Award winner and 20-time platinum hit maker. This show-umentary format gives a fascinating insight into the woman behind the music. Featuring passionate renditions of I Feel the Earth Move, Natural Woman, You've Got a Friend and many more, this astonishing back catalogue is realised with authenticity by Phoebe Katis, an established singer-songwriter whose music features in the multi BAFTA award-winning film Kajaki. 'Wow, what an experience' (BBC Kent).